During the summer, Liverpool acquired an out of contract fullback called Juanma, formerly of Barcelona! There was some discussion about the 19-year-old at the time, but very little since because he’s not featured for Michael Beale’s Under-23 side yet – until last night that is. Liverpool took on Porto B and put in a good account of themselves levelling in the second-half to secure a 1-1 draw. 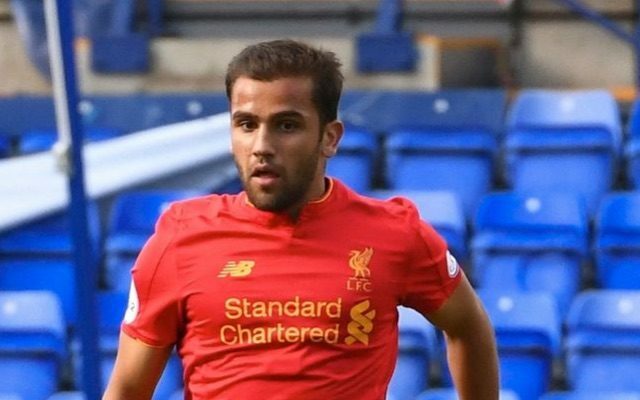 According to James Pearce of the Echo, who was at Prenton Park, Juanma did very well at left-back, a much-debated position for Liverpool fans, of course. Juanma has been given time to adjust to his new surroundings. This was his first start for Liverpool Under-23s and he caught the eye against Porto at Prenton Park. Blessed with great pace and comfortable in possession, he proved a handful for the Portuguese every time he ventured forward. Defensively, he was solid and combative in the tackle. Neither James Milner nor Alberto Moreno will be losing any sleep just yet, but Juanma’s exciting potential is clear. We’ve never seen Juanma, but if Jurgen Klopp’s scouts and coaching team thought it smart to bring him to the club, we trust their judgement! It’s good to see Liverpool have acquired a fullback with pace and if our inactivity in the transfer market regarding fullbacks this summer is anything to go by, Juanma may eventually get a chance. For now though, we look forward to his development in the Under-23s.